Do you own a condo? Living in a cozy and beautiful condo of your own can be the dream for many. But what if the condo gets damaged in some way or the other? You will have to bear a huge loss which needs compensation. Moreover, even if your belongings inside the condo could be stolen, for which you will need a lump sum compensation. That is why what you need is a condo insurance. We, at Rick Tinker Insurance, can be the right choice for you. We have been in this field for more than 30 years now. We are a Blue Cross Blue Shield agency which can ensure the right protection you need from all sorts of risks and challenges posed to your condo. We are known for our quality coverage and competitive rates along with a remarkable customer service. So, if you are from areas such as Manvel, Pasadena TX, Brazoria, Galveston, Houston, or Texas Gulf Coast, then you can get in touch with us now. 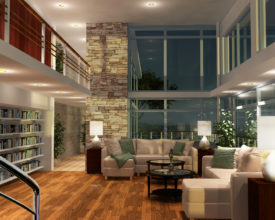 Here, we have put together a few major ways in which having a condo insurance can be useful for you. Take a look. Given the crime situation in the country, the incidents of thieves or burglaries have become extremely common. So, your condo could become a victim of the same. That is why you need to get the right coverage for your condo which will protect you from such threats. If someone else gets injured in your condo, you will be held responsible. You might have to pay for their medical treatment. 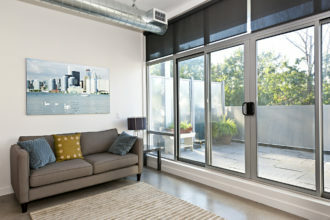 In order to avoid such unnecessary expenses, you should invest in a good condo insurance policy. So, if you are interested in availing our condo insurance after reading about these benefits it can provide, you must contact us immediately. If you own a house and enjoy its benefits, you must understand that the risks and threats that come with the house also have to be accepted. There are several threats for your house. A natural calamity could affect it like a flood or a fire emergency, causing severe damage to your property and belongings. You might have to lose all the precious items you own such as furniture, electronics, or cash within your house due to theft or burglary. Moreover, if someone else suffers an injury in your premises, it will make you liable to their medical expenses. All these threats can be effectively covered if you own a good insurance policy for your house. We, at Rick Tinker Insurance, can be the right choice for you. We bring you a high-quality home insurance policy that covers all the essential risks posed to your house. We are an established and reputed company which has created a solid customer base in areas such as Pasadena TX, Friendswood TX, Galveston, Houston, League City, and Texas Gulf Coast, owing to their great coverage and affordable rates of premiums. Here, we have enlisted a few questions to ask a company offering you home insurance. Take a look. Do you cover all the major risks that can affect a house? Before you choose a company for their home insurance, it is crucial that you check the coverage provided by them. So, you should ask and confirm if the major risks and challenges are effectively covered by the home insurance policy. How much do you charge for the premiums of the home insurance policy? You should be aware of the rate of premium needed to avail the protection of the insurance policy you are considering. This will help you understand if you have the budget to afford the particular home insurance policy. So, ask the company to provide an estimated premium for the home insurance. After asking such questions or more, if you are still interested in our policies, then get in touch with us now. One of the most important thing about life is its uncertainty. You will never know truly what you are about to face in life until the last minute. Accidents and disasters are extremely common. It is impossible to save yourself from one mishap or the other no matter how many precautions you take. That is why it is wise to always arrange for a compensation. 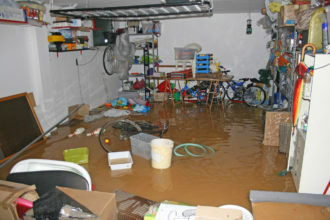 If you ever come across a natural Disaster like flood, we, at Rink Tinker Insurance, has got you covered. We bring you one of the most comprehensive flood insurance policy which will cover all the major losses that one is likely to incur during such an emergency. We are one of the most reputed and renowned insurance agency which has more than 20 years of experience in this field. We are a certified Blue Cross Blue Shield agency which is known for their solid flood insurance and its reasonable rates. So, if you are based in areas like Pasadena TX, Galveston, Houston, League City, Pearland, or Texas Gulf Coast, then you can count on us. Here, we have put together a list of things to compare about your flood insurance. Take a look. When it comes to insurance, premiums are extremely important. You need to make sure you can arrange for the amount of premium the company is charging for the coverage. Compare it with other insurance providers to check if it is the lowest you can get. So, if you interested in our flood insurance policy, then get in touch with us now. Rick Tinker is a recommended source for flood insurance in Clear Lake, Pasadena TX, Galveston, Houston, League City and the Texas Gulf Coast. Flood insurance is not something you can afford to ignore. Even if you don’t live in a flood zone you are at risk. Your risk might be lower, but you are still at risk. Climate change bring with more severe weather. A flood can occur just about anywhere. Damage from floods and flash floods can be massive and financially crippling. Your home may well be the biggest investment you will ever. You don’t want to lose it because you don’t have the right flood insurance. Thousand of people have lost their homes and possessions due to floods. And because they did not have flood insurance they could not replace those losses. Normal homeowners’ insurance does not include flood insurance. In fact flood damage is specifically excluded. Now there are other things you can do to help protect your home, but when the big waters come, there is little you can do. The only thing you can do to protect your financial interests, is to have the right flood insurance. Insurance companies don’t like flood insurance. That is because damage is widespread and massive. That is why there are special programs when it comes to flood insurance. One such program is the National Flood Insurance Program (NFIP). You need to be sure what your home insurance covers and what it does not. Dangerous gaps in your home insurance can leave you financially ruined should an uninsured event occur. Rick Tinker can help you with home insurance as well as supplemental insurance such as flood insurance. If you want home insurance that is good and proper, then you need to deal with a professional agent such as Rick Tinker.